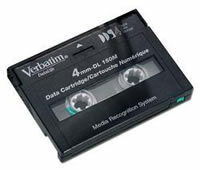 CCSS uses state-of-the-art tape replication systems that supports all popular formats such as IBM, HP and Unix. We have a capacity to duplicate over 1,000 tapes per shift, and can offer our customers fast and efficient turnaround times. Every shift in our Tape Duplication Department has an experienced technician on hand who is constantly checking and testing our equipment. This ensures that a top quality product is what our customers will receive every time.